Some of my favorite channels on YouTube are the most random ones. 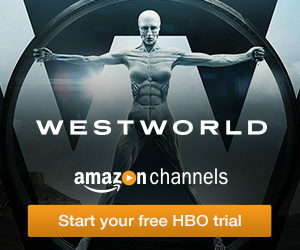 I find I start loosing interest once the channels become too formulaic. It’s almost like channels reach a certain level of popularity, production budgets rise, and the channels start to get boring. There’s a channel on YouTube that definitely meets this random criteria, it’s called Leftover Pizza. Leftover Pizza provides a random, hilarious, mixed bag of content. 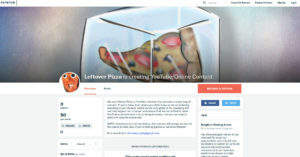 Donating to Leftover Pizza’s YouTube Channel on Patreon will ensure more content gets produced and that’s a functioning business. Check out their YouTube channel! Donations btw are not mandatory. Content will always be free, but if you are feeling generous support the channel. The channel is comedy focused and full of funny random videos. Lots of the video include clips from popular shows or commercials with edited in content. One my favorite videos on the channel is the spoof on Billy Mays. The entire commercial is dubbed with funny commentary. I’m a huge fan of As Seen On TV products and Billy Mays so I enjoyed this one. Yes, there are several Patreon rewards for this campaign. Just $1, yes you heard right, just $1 gets you eligible to submit an up to 30 second channel/content commercial to our business email, name in credits, and Patron exclusive content. $5 gets you all previous plus advertising on Leftover Pizza social media or Podcast. The rewards go all the way up to $100 and that gets you all previous rewards as well as a chance to get a private session with one of our crew members via Hangouts on advice for channel growth, video ideas, and content advertisement. If you like random, funny, comedic videos consider support Leftover Pizza on Patreon today. Christopher Gist needs your support for his YouTube gaming channels on Patreon. The first channel he’s running is called Many Flames Away and the other one is called Running Hell. At the moment he’s stopped his Running Hell gaming channel, but Many Flames Away is very active! Many Flames Away consists of lots of random videos including parodies, vlogs, and short gaming clips. By supporting Gist, you can guarantee that he will create content more often and more money will be put back into his videos. Gist already has quite the following on his Many Flames Away YouTube channel with over 1,196. Just one video alone the he posted only 1 week ago has 11K subscribers. Topics so far include announcements, high school explained by Smash Brothers, how to get work and play done, ASMR, and more. Lots of great, interesting videos to choose from. There are several great awards to this Patreon if you decide to donate. Just $2 gets you exclusive content. $5 you’ll get a actually cookie shipped to you haha. $10 or more per month gets you a shout out in every video he posts as long as you’re a supporter. Finally $25 gets you access to secret videos on Patreon. The goal of this campaign is $100 per month. If Gist achieves this goals he says he will have a monthly Q&A livestream on YouTube, where I sit for an hour and answer questions. Are you into random videos including parodies, vlogs, and short gaming clips? If the answer is yes consider Gist and Many Flames Away on YouTube. Right now he’s at only $0 so he needs your support as soon as possible! Are you a lover of podcasts, witty conversations, essays, and YouTube reviews? 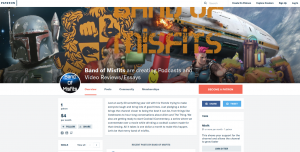 There’s a Patreon campaign from an organization doing just that, they are called Band of Misfits. Band of Misfits created by Wyatt Craker, his wife, and cohost Xbrick isn’t doing just some generic reviews and podcasts. Watch and listen to things such as livestreams to hour-long conversations about Alien and The Thing. Band of Misfits are also getting ready to start Cocktail Commentary, a series where they commentate over a movie while drinking a custom cocktail made for that viewing. 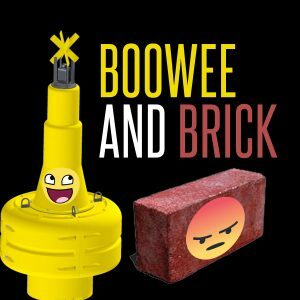 Also, there is a Podcast called BooWee & Brick and a Podcast called Date Night with Wyatt’s wife. All it takes is one dollar a month to make all this happen. Band Of Misfits has already raised $4/month, but they have a long way to go to make this a self funding operation. They have 61 subscribers and many videos. The top video has other 500 views. Are There Any Patron Rewards? Yes, there are several rewards for this campaign. – $1 per month gets you a big Thank You! – $5 per month gets you access to the Patreon level of the discord. – $10 or more per month allows you to suggest movies for Cocktail Commentary videos. At the $10 per month level Band Of Misfits has the goal of proving it just might be possible to make a go of this thing. At the $100 per month level this would allow them to put money back into the channel and making it better. At the $101+ or more level the sky’s the limit. 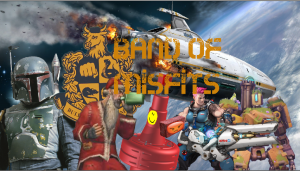 Band of Misfits is expanding in many different directions right now and they need your help in order to continue. Consider supporting Band of Misfits today. Ben Crawford on Patreon is creating cosplay, props, tutorials, original works, and more. 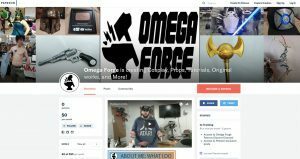 Ben Crawford has established a prop shop called Omega Forge Props. Ben Crawford has been making props and costumes on the side for many years now and has finally made this a full time job. In order to continue to grow and thrive Crawford needs your help. Crawford is a one-man operation; he does all the work in his little shop. He has a passion working with cosplayers and making their dreams a reality, the moment when they see that special prop or costume that brings their dreams to life it’s priceless for him. 1) It’s a way to support the work he loves, and it’s a way to connect with other cosplayers and prop makers and share our combined knowledge. 2) If you become a patron, then you will have access to the Omega Forge Discord and be able to get advice on your projects and cosplays. Cosplay prop and costume making is his passion and his calling. With your support he will be able to keep doing what he loves, Ben will be able to buy more materials, better equipment and maybe someday he’ll be able to get a bigger shop. Through Patreon Crawford will also be giving back to his patrons with special builds, tutorials, advice, and Q&A live streams. $1 per month gets you access to the Omega Forge Patrons Discord Channel, plus Patreon exclusive content. $5 per month gets you all previous plus exclusive live streams, and one entry into monthly project give away. $10/month gets you all previous plus two month giveaway entries. 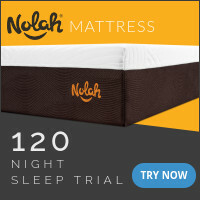 $25 or more per month gets you all previous plus 3 entries, and 10% discounts. Rewards go up to $100 which gets you all previous plus a monthly project built just for you and one at cost commission per year. If you are into cosplay, props, tutorials, or just original creative works of art consider donating to Omega Forge Cosplay today. Unless you live under a rock you know that comic books and specifically comic book themed movies are huge right now. I just looked up the stats for ‘Avengers: Infinity War’ and it has already grossed $1,606,829,103 worldwide! That’s insane! Lets get back to the source material though, actual comic books. That’s what Tom Hoover of Hyper Epics on Patreon is creating. 100% original, exciting, action packed, better throwback comic book short stories. Consider supporting his page or if you can’t afford a monthly donation share his link on social media. Anything helps! I think the rule of thumb should be, if you like someone’s art, do everything you can to support it. Doing what you love still requires making and living and paying the bills. What makes the “Hyper Epics” comic book series unique is that it’s a throw back to the way comic books used to be. All comics are a mere 3 pages long. 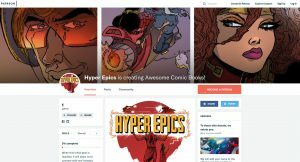 All comics are free on their web site: http://www.hyperepics.com. Think of your monthly Patreon donation as a very modest subscription fee. This will help them tell bigger stories, feature industry artists, and hopefully finance print installments, may be even animated Hyper Epics short films. Fingers crossed! Yes, there are several intriguing awards for this comic book themed Patreon. $2 per month gets you a big thank you and your name in the web site credits. $5 gets you all previous plus high resolution digital copies of the stories they publish that month. $10 per month (Top level) gets you all previous plus story credits, sneak previews, and member only benefits. CashSherpa recommended the $10/month level. At the end of the day, Tom and his team are completely independent without corporate sponsorship. They are telling stories from the heart, and funding all costs out of pocket. For these reasons it is nearly impossible to compete with the giants of the industry with the resources they have at hand, but they have come out swinging and telling stories that they will not. Personal I can’t stand most Marvel movies, so if you’re like me support independent comic book story tellers like Tom and donate today. I’m a huge fan of horror movies and ghost stories so when I heard about this Patreon I knew I had to share it with my audience. James Marie Parker III is creating scary flash fiction and needs your support on Patreon. If you don’t know what flash fiction is, it’s extremely brief, typically only a few hundred words or fewer in its entirety. James Marie Parker the Third is creating this kind of fiction at 500 words and has built quite the audience. In order to continue building his audience ever further, he needs your support on his Patreon today. For a long time James Marie Parker III has had the desire to write, but has only half way committed. Now James has decided to go all in wanting to finally make a career out of flash fiction writing. 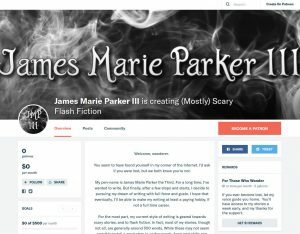 What makes James Marie Parker III writing unique is he specialized in the scary story niche. What makes his writing even more of a golden unicorn is his scary stories incorporate humor and heartwarming elements. I think the problem with some scary movies and scary fiction is it can be exasperating and grating when too dark. I think one reason why Steven King is so popular is precisely because he incorporates human elements into his fiction. The fiction isn’t just one droning note of horror. – Search for these works: Suspension of Outbound Traffic, The Empty, Once More, From The Top, and Auntie Creep’s great rendition of The Recognition He Deserved. From James Marie Parker III you can expect at least one story a week. They will usually be between 450 to 500 words. Anyone who pays at least 1 dollar will get to read the written story a week early before it goes onto Reddit. As he is part of the No Sleep Writer’s Guild, certain stories will be put up there for narrators to get first crack on. 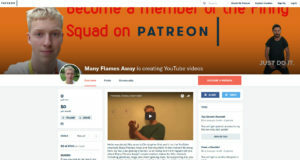 In addition, from time to time, he may put up various things on his Patreon. Rewards start at just $1 per month so there isn’t any excuse not to contribute. Parker concludes his Patreon by saying “Remember, wanderer. If you ever need a quick moment of excitement and scares, my humble abode will always accept you. And as long as you can find me or my stories, then you are never truly lost.” Consider giving to James Marie Parker III Patreon today.